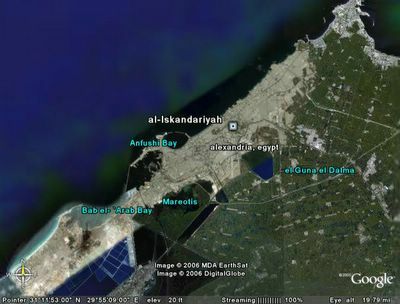 The city of Alexandria, Egypt was named after its founder, Alexander the Great, and was the seat of the Ptolemaic rulers of Egypt. It quickly became one of the greatest cities of the Hellenistic world second only to Rome in size and wealth throughout much of antiquity. 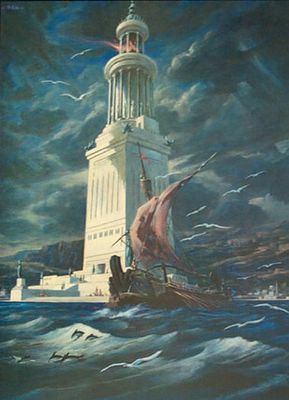 In ancient times, Alexandria was known for its lighthouse (one of the Seven Wonders of the World) and the Library of Alexandria (the largest library in the world). Its tower is estimated to have been 134 m (440 ft) high, easily one of the tallest man-made structures on Earth at the time. Built out of blocks of white stone, the tower was made up of three stages: a lower square with a central core, a middle octagonal section, and, at the top, a circular section. At its apex was positioned a mirror which reflected sunlight during the day; a fire was lit at night. The Royal Library of Alexandria in Alexandria, Egypt was once the largest library in the world. 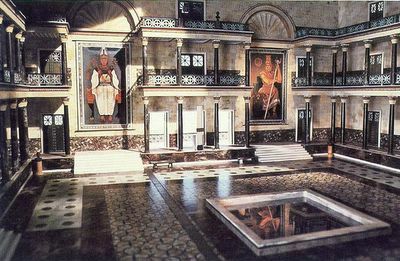 It is generally assumed to have been founded at the beginning of the 3rd century BC, during the reign of Ptolemy II of Egypt, after Ptolemy's father had raised what would become the first part of the library complex, the temple of the Muses, the Musaeum (where we get the museum from). At its peak, the Royal Library is believed to have held anywhere between 40,000 to 700,000 books and was initially organized by Demetrius Phalereus. It has been reasonably established that the library was destroyed by fire yet, to this day, the details of the destruction or destructions remain a lively source of controversy. Marcus Antonius (ca. 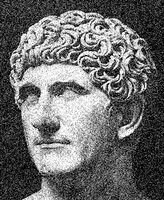 83 - 30 BC), known in English as Mark Antony, was a Roman politician and general. He was an important supporter of Julius Caesar as a military commander and administrator. After Caesar's assassination, Antony allied with Octavian and Marcus Aemilius Lepidus to form the second triumvirate. The triumvirate broke up in 33 BC and the disagreement turned to civil war in 31 BC, in which Antony was defeated by Octavian ttle of Actium and then at Alexandria. Cleopatra VII (69 - 30 BC) was queen of ancient Egypt, the last member of the Ptolemaic dynasty and hence the last Hellenistic ruler of Egypt. 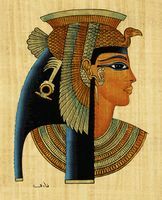 Although many other Egyptian Queens shared the name, she is usually known as simply Cleopatra, and all of her similarly named predecessors have been mostly forgotten. Antony committed suicide with Cleopatra in 30 BC.